Carpet is a soft floor covering made of bound carpet fibers or stapled fibers. Carpeting refers to wall-to-wall coverage, whereas a rug is simply used to cover a space. This type of flooring is typically used indoors and can be used in both high and low traffic areas. It typically lasts for 15-18 years before it needs to be replaced. The quality of a carpet is usually measured in face weight, or how many fibers there are per square inch. The higher the face weight the more plush a carpet will feel. Carpets come in a variety of materials including wool, nylon, olefin and polyester. There are different types of carpet like twists, which is commonly referred to as a berber. 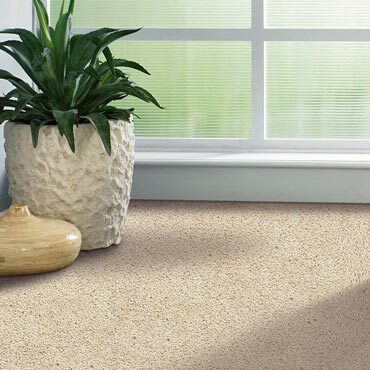 Twist carpeting is composed of multiple twisted fibers set into the carpet backing. It is typically used in low traffic areas. Another type of carpeting is looped carpets, which are composed of looped fibers set into the carpet backing. This type of carpeting is typically used in high traffic areas as it is easy to clean.